Wow, last week we were social butterflies, entertaining guests and party-hopping. Not so easy for this introvert. Lily is the outgoing one on this team. 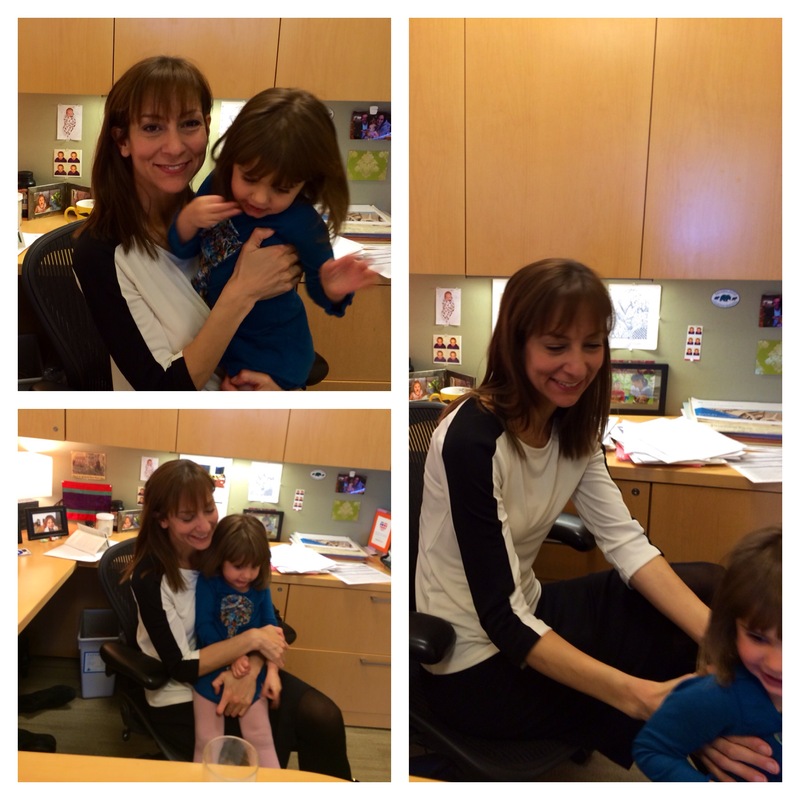 On Thursday morning, I brought L into the office for ‘take your kids to work day’. She charmed everyone from the CEO to the mailroom clerk. And it was very obvious that she wasn’t interested in a desk job (see below). When we got home from work, Grandma was there! She had just arrived from Florida and was staying the weekend. When the elevator opened to our apartment, Lily ran to her and immediately gave her hugs and kisses, like no time had passed. Thursday evening, after Mom, Leslie and I returned from the Rett Fundraiser (which was both lovely and bittersweet), Lily decided that she wanted to have a party too. 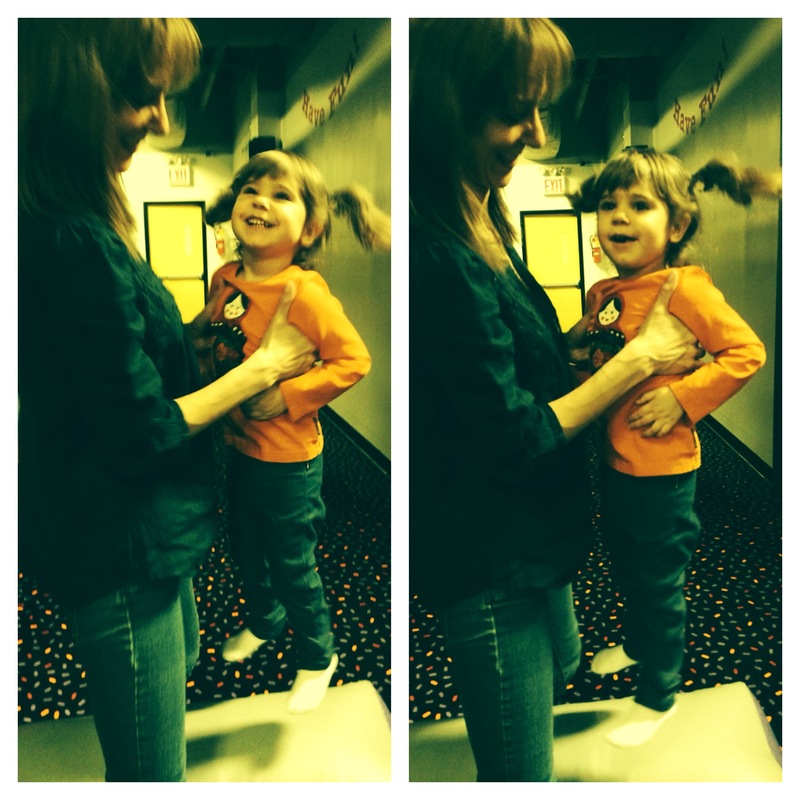 So she entertained us all by doing her Lily thing – giggling, dancing and giving plenty of kisses. 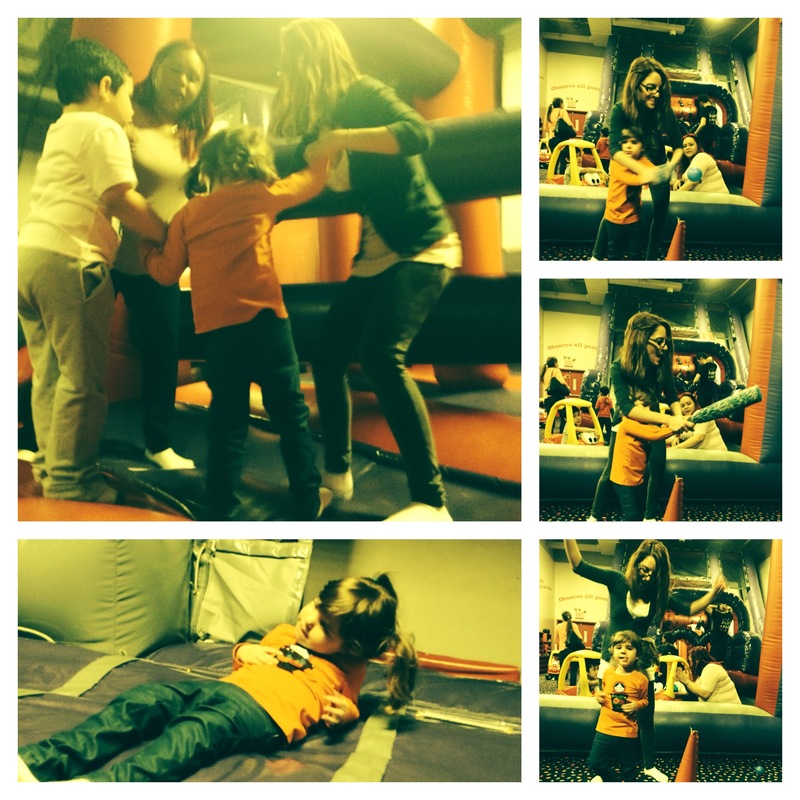 On Friday, we met up with one of Lily’s therapists for a playdate at Bounce U (a huge indoor bounce-house/playground). HOLY COW. I’m not sure who had more fun, me or her. Seriously, we were both laughing and bouncing and giggling so much. L (and I) had to take a 3 hour nap when we got home! Saturday night was party-time in Greenpoint with the Salerno’s. 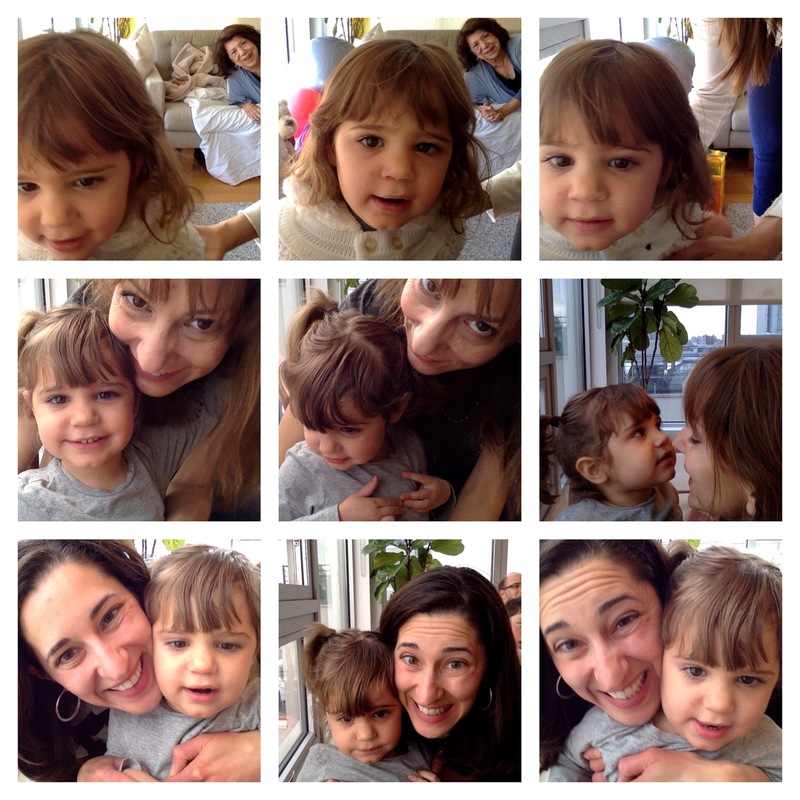 Earlier in the day, Lily had somehow figured out how to turn on the photobooth application on my computer and so we made sure to take plenty of pictures with our family. As you can see from the shots, someone was having a very good time. We have yet another busy week. Yesterday was swim class (she did awesome), tomorrow we go in for the assitive eye gaze technology evaluation (more soon on that), and Friday we visit one last preschool. This is all on top of her 30 hours a week of in-home therapy. I’m not joking when I tell people that she’s busier than my CEO. The swim lesson was a success! It’s very much occupational therapy focused and this teacher knew what she was doing. Lily was initially over-excited when she got to the pool (maybe it was the peepee potty dance/song I sang to her after her successful potty visit, or the acoustics at the indoor pool, or seeing the pool, or a myriad of other unknown reasons). She was chirping and babbling REALLY loudly. And once she got in the water, she was thrashing around (in a fun and happy way) as her senses were all over the place. To calm her down, the therapist did some slow spinning with her in the water and then put light weights on her hands and feet. Zen-like focus ensued for the rest of the hour. She was kick-kicking (like she learned to do at Grandma’s pool) and walking on the underwater trampoline – a complete natural. The therapist was impressed that she is so strong and comfortable in the water. They did some strengthening exercises while Aileen (the therapist) sang ‘wheels on the bus’ to L. Everyone had a great time. Who knew that St. Barts on Park and 50th had such a great indoor pool? I love the restaurant (it’s a beautiful spot for a sunny day). We will be going back. For pool. And lunch! A complete natural in the water, and totally calm and happy afterwards too! I guess I need to get used to them when it comes to Lily’s development and growth. But it’s disheartening when she’s unable to do something she was previously doing the week before. It will come back. It almost always does. But my heart breaks for her that she has to struggle like this. Her word approximations weren’t so great last week and her fine motor skills have waned a bit too. But even though she’s having these slight regressions, she’s still progressing in so many other ways… For example, she’s a natural at potty training ; she did peepee potty the first time she was put on the toilet! She also gestured (with her hand) to have me move closer to her face so she could give me a kiss! This is the first time she’s gestured that ‘come here’ movement; something we all take so easily for granted. For Lily, she did it twice last week and I was dumbstruck both times. Tonight she is starting swimming lessons. 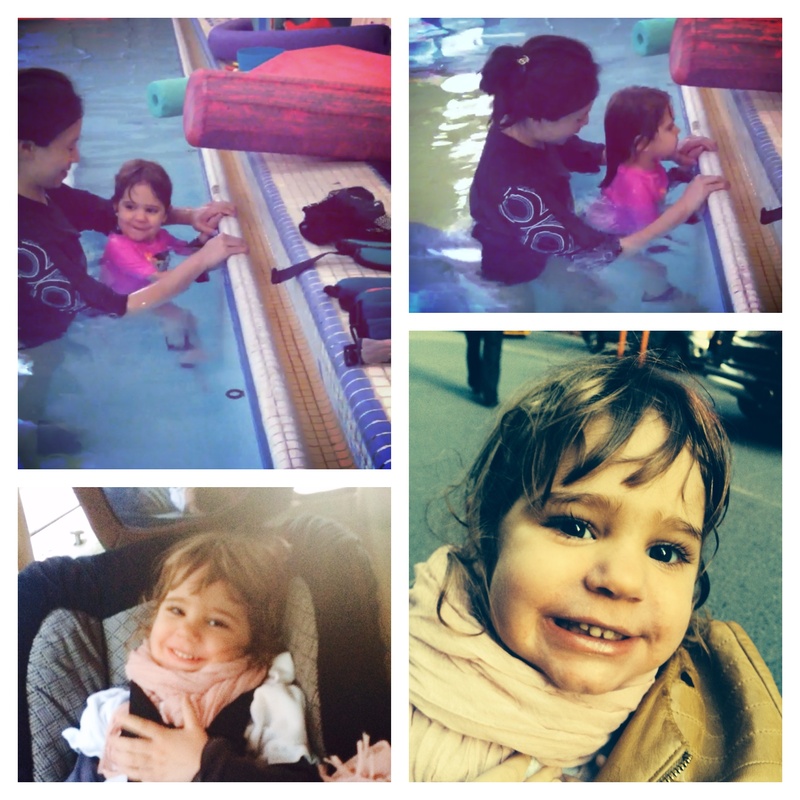 Actually it’s aquatic therapy which was highly recommended by the Rett specialist. We are both hoping it will be a fun time! But I stumbled across a few other souls, from a totally different realm, who have REALLY useful wisdom which has helped me feel less alone, less questioning of myself (I’m always wondering if I am being too sensitive) and more empowered. This special needs parent thing is a whole new world for me. And likely, it’s a new world for you too (likely because of me). So I want to share with you a few links which may help you better understand, better communicate and better support me (and my L) on this journey of ours. April 24th fundraising event for Rett Syndrome – will YOU be there? It’s been a challenging few weeks for me. That last hospital visit really took the wind out of my sails. I’ve been struggling with a cold/cough/exhaustion for a while now. But I’m doing my best to stay healthy. I even started putting bentonite clay in my water for additional minerals and support (you may think I’m crazy but it is helping me). I need all the energy I can get to keep up with Lily, who is being VERY opinionated and active these days. She is SUCH a toddler. But all of this is excellent, excellent news. She and I have been doing a lot of reading (‘The Wheels on the Bus’ is her current favorite book) and her word approximations are mind-blowing. 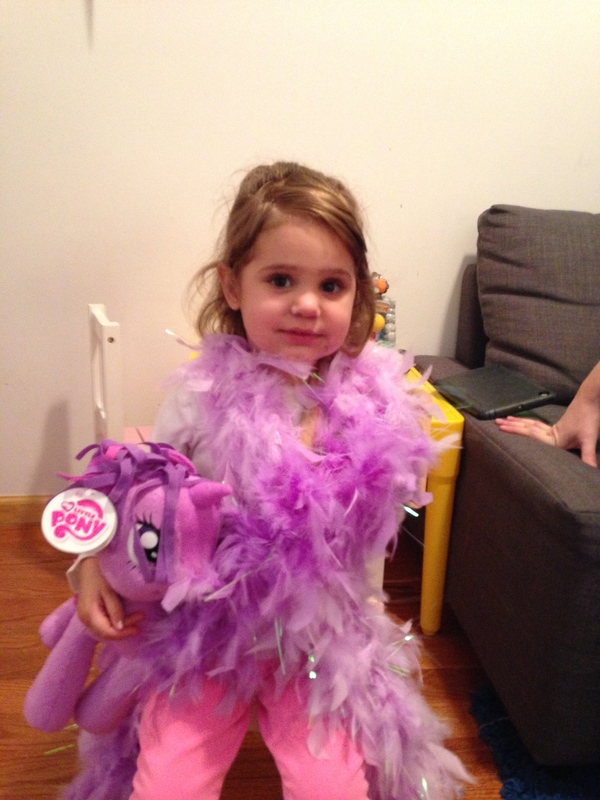 Yesterday she said ‘horsie’, ‘piggie’, ‘birdie’, ‘ready’, ”ommy’ (for mommy), ‘omlette’, ‘berry’ ‘bay’. Mind-blowing. This kid is going to talk. I am convinced of it. ‘Reach for the Stars NYC’, taking place in TriBeCa on April 24th. From the Team Lily contingency, I will be there, as will Grandma (who is making a guest appearance from Florida), Leslie (one of my besties from grad school who is coming from Toronto on her way back to DC) and a slew of other friends. It should be a lovely evening – cocktails and canapés at a beautiful venue. If you’re in the NY metro area, I’d LOVE to see you there. You can either view the invitation to the left or click here. ‘Strollathon Hoboken‘ is taking place on October 5th and I’m gathering a team of work colleagues (to get my Company’s financial support), family and friends to come and walk to raise funds, and awareness of Rett Syndrome. FYI – we may be organizing a Team Lily family and friends party after the walk. More soon on this (I’m in the process of creating a webpage for the event)! For you relatives outside of the NY metro area, put this date in your calendar! 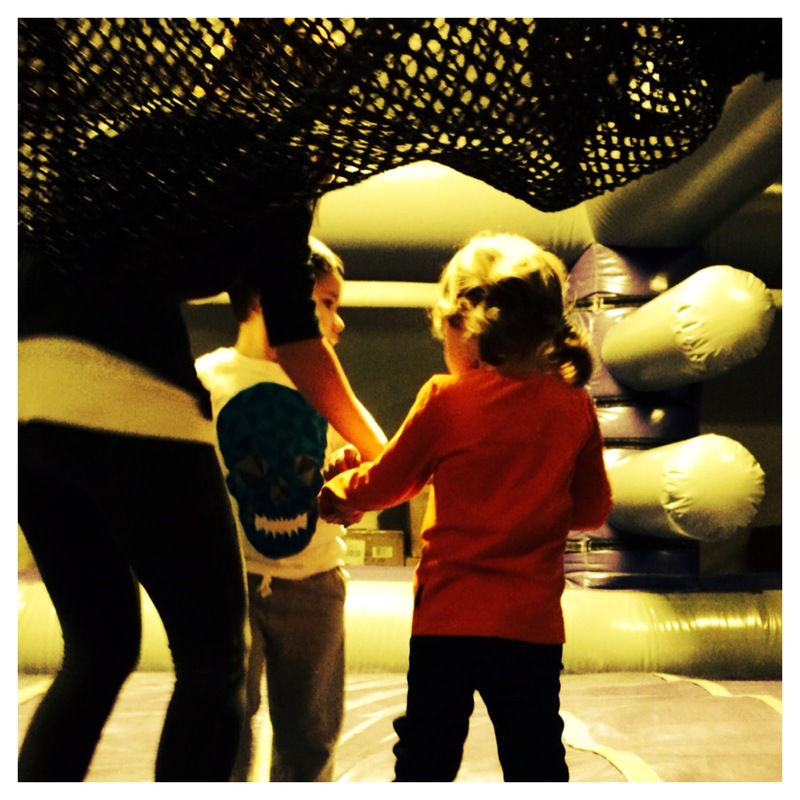 ‘Reverse Rett NYC’ is taking place at Capitale in Manhattan on November 3, 2014. I have a meeting with the executive director or the Rett Syndrome Research Trust this week and it’s likely I’ll be a member of the organizing committee. I really do hope to see you at any one of these upcoming events. It would mean so much to me, and to Lily. As usual, Lily was a superstar in the hospital. Almost literally. She’s got a big fan base on the epilepsy floor and her smile helped us get a private room for our 48 hour vacation (hospital visit) which included lots of spa treatments (i.e., pee-pee bags, blood draws, and blood pressure checks, oh my!). The longest of the spa treatments, which takes over an hour to complete, is the scalp massage (i.e., application of the 24 leads on her pretty little head). This girl, yet again, taught me a lesson in bravery and strength over the weekend. No tears (for her) during the blood draws; no complaints when the pee-pee bag went on (though I think she may have tried a bit of rebellion as she pooped when the bag was on, rendering the urine specimen useless); and she slept well through the night (even though she preferred sleeping on me to the hospital crib). She also surprised me by independently standing up on the chair and then trying to climb up the arm of the chair. I had a bit of a heart attack; she had a cheeky, proud grin on her face. And really, the fact that this kid can climb up, and stand up on padded furniture – independently – is a miracle. 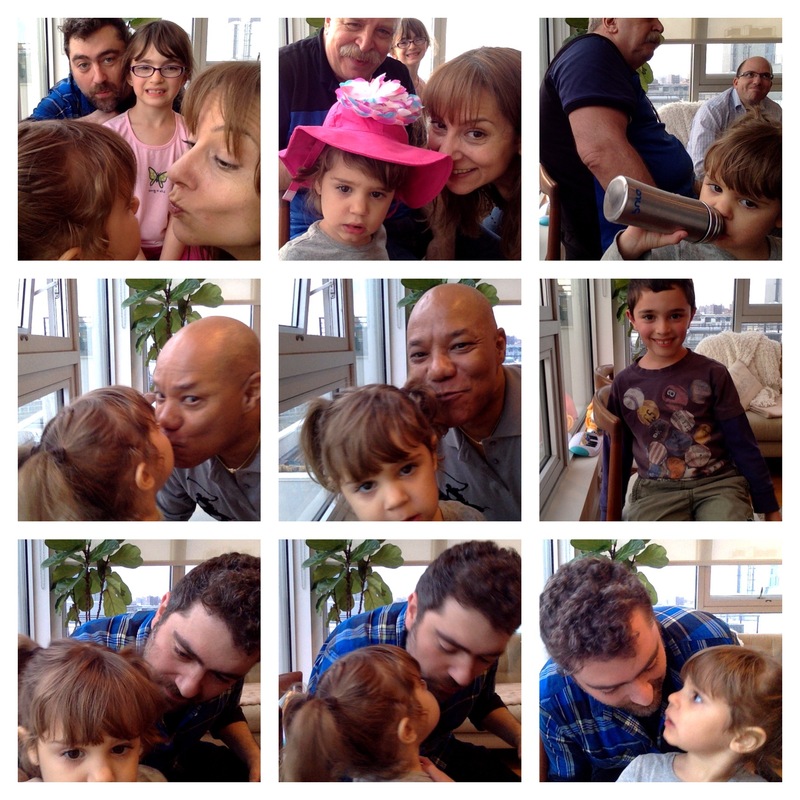 It hit home on Sunday, when I went to my first Rett parents meet-up. The amazing Dr. Djukic presented on clinical trials for alleviation of symptoms, the executive director of the Rett Syndrome Research Trust (who is also a Rett momma and now a friend) discussed the research behind getting to a cure, and a PhD from Cambridge University spoke about eye gaze technology. The conference room was bursting at the seams – people flew in from all over the country for this day. The family sitting next to me was from West Palm Beach (we have a playdate when we head down to visit our family!). Their daughter is 4 and is in a wheelchair. Another mom I met from Orange County, NY told me about how her daughter developed normally until age 2 and then regressed to a state of immobility (also in a wheelchair, age 5). She, and many of these other sweet girls, can’t even swallow anymore. My heart breaks for these families. I feel somewhat out of place at these gatherings and on online forums. The Rett community is amazing. But I don’t really feel like I fit in. In the meantime, we will continue to be visiting preschools, keeping up with her 30 hours a week of therapy and getting her evaluated for assistive eye gaze technology. And of course, I will be working (I’m getting a new employee reporting to me from Mexico City!) and trying to sleep when I can so I can have all the energy needed for this amazing, sweet angel face. Thank you ALL for all your love and support. Always. For the momma, the week started out at a conference in Chicago. Twenty-four hour business trips have become the norm for me (at least when traveling within the US; when abroad it becomes a 48 hour trip). I presented a case study on how the Company I work for responded to Superstorm Sandy from a humanitarian perspective (if you ever wondered what I do for a living, click here for our report: http://www.mmc.com/citizenship-report/). I was back in Brooklyn by Tuesday evening. 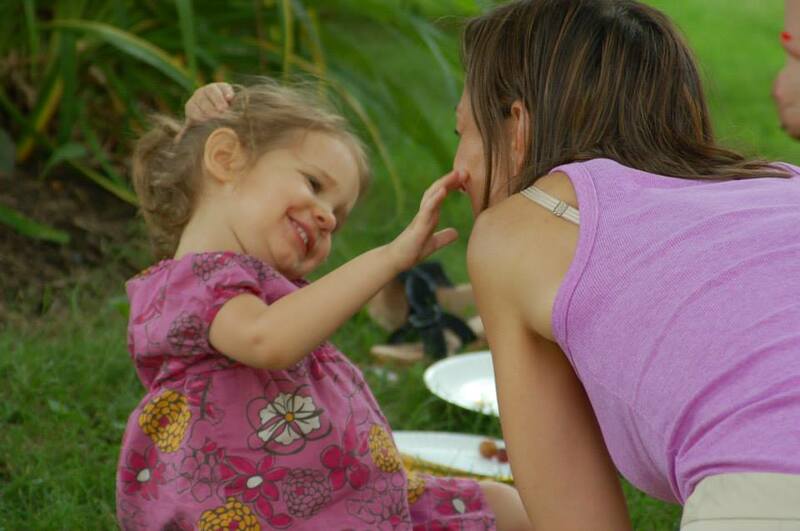 For Lily, she started out with her usual schedule of therapies and naps and more therapies. She has been having a great week of word approximations and physical strength. BUT – the dreaded raspberry blowing has returned. O la la. Not fun. We are working to curtail this. 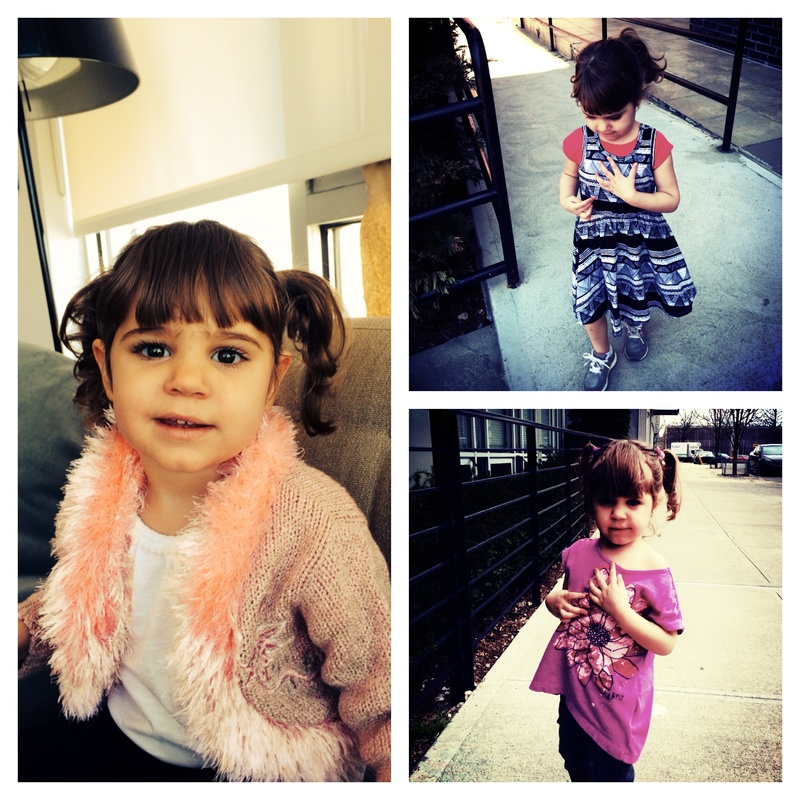 Yesterday morning we visited another preschool; Lily walked around like she owned the place. She was walking up to kids and adults, giving ‘Lily pats’ and even some kisses to a few lucky souls. All the teachers fell in love with her. How could they not?! Today (Thursday) has been a ‘normal’ day for us (back-to-back meetings/calls for the momma and back-to-back therapies for the L-bug). Tonight we will rest up for an extra busy weekend. 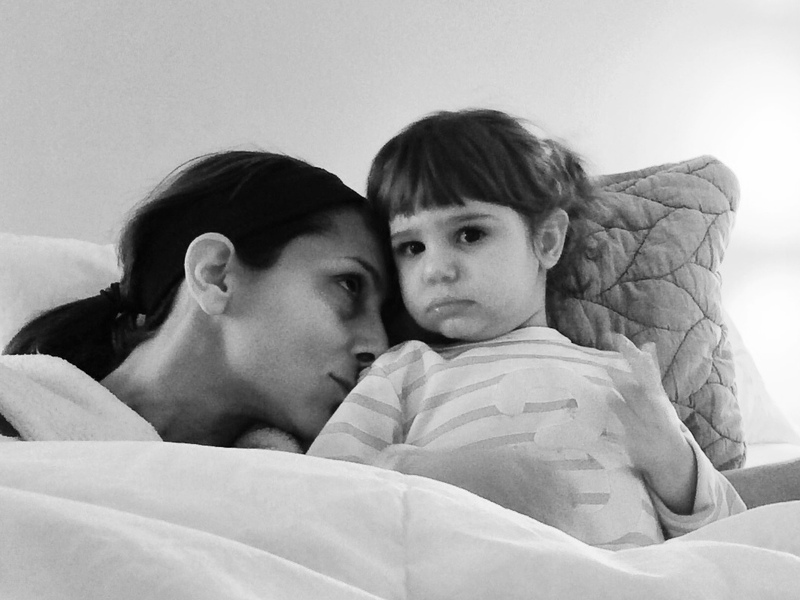 Tomorrow morning we go to the hospital (Montefiore in the Bronx) for an appointment with the GI doctor at the Rett Center and then we get admitted for yet another 48 hour EEG. So if anyone’s in or near the Bronx this weekend, stop by! Wish us luck for this weekend.